Orvis Clearwater Vest. 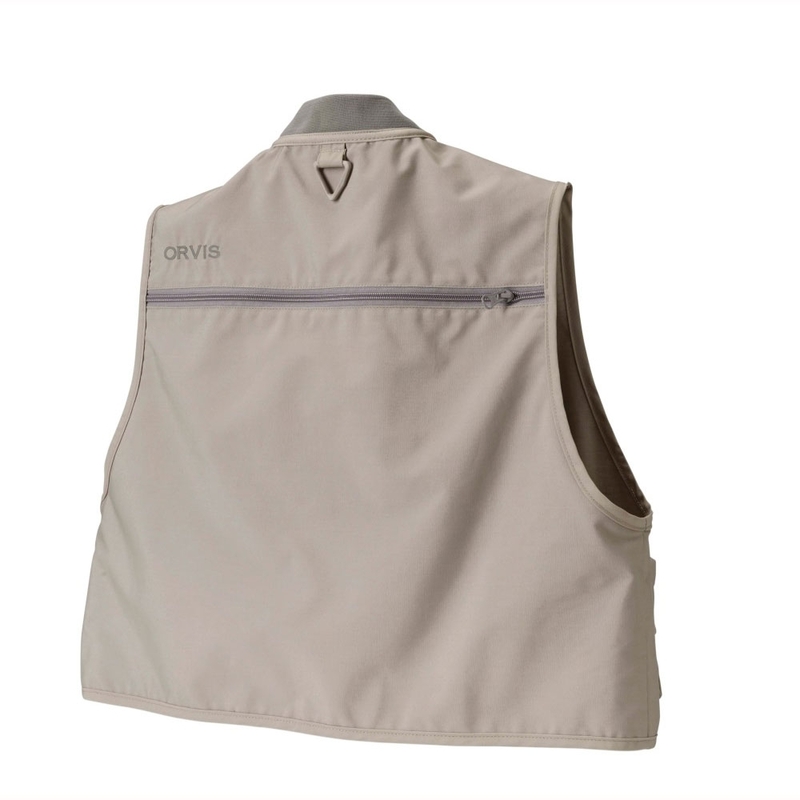 Fabric is rugged 65% poly/35% cotton poplin and made to last. 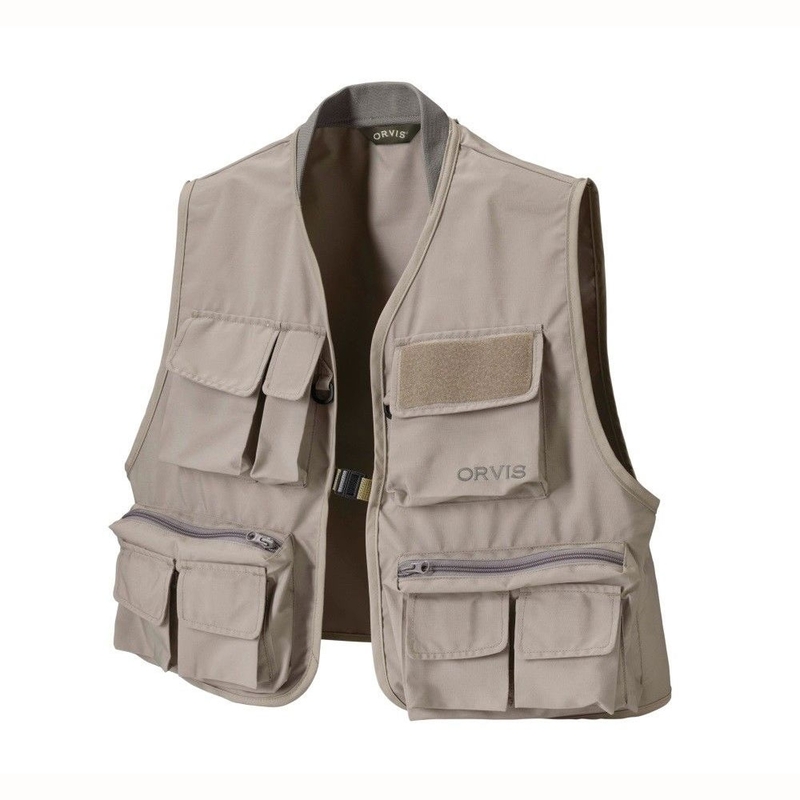 This fly-fishing vest has twelve pockets, including ample cargo pocket in the rear for extra gear, rain jacket, or lunch. Convenient nylon buckle closure in front. D-rings for extra gear, including one in the back for net attachment. Nylon rib-knit collar.